This section contains some additional information regarding Red Sea Holidays and our holidays to Egypt. Some of the general photography used in this brochure, for example close ups of spa treatment or children playing, were shot on location and not at a particular hotel or resort. We have the highest regard for the security of your personal data. In order to provide you with products and services, we must pass selected personal information relating to your booking, including disability or dietary requirements, to trusted partners, suppliers and government agencies. This includes sending data outside the European Economic Area, where controls on data protection may not be as strong as in the UK. If we cannot pass on your details, we will be unable to process your booking. Your details may also be used for analysis, improving customer service and, very occasionally, for crime prevention. Booking with us means that you consent to us sharing your personal information as described. Telephone calls to Red Sea Holidays may be recorded to help us improve our customer service. 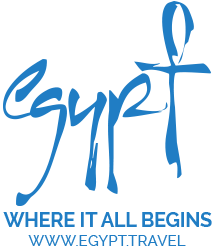 We may occasionally contact you by post, telephone or email to update you on the latest products, services and offers from Red Sea Holidays and other Red Sea Hotels Group companies. We do not pass your details to other companies for marketing purposes. If you don’t wish to receive such information, please contact Customer Services. Red Sea Holidays Ltd is a member of ABTA with membership number Y2507. ABTA and ABTA Members help holidaymakers to get the most from their travel and assist them when things do not go according to plan. We are obliged to maintain a high standard of service to you by ABTA's Code of Conduct. For further information about ABTA, the Code of Conduct and the arbitration scheme available to you if you have a complaint, contact ABTA, 30 Park Street, London SE1 9EQ Tel: 020 3117 0581 or www.abta.com. 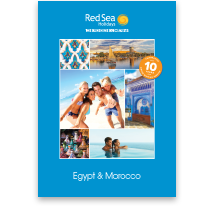 The above applies only to services supplied by Red Sea Holidays UK Ltd and does not apply to services featured in this brochure that are provided by Holiday Extras or any other company. When you buy an ATOL protected air package or flight from us you will receive an ATOL certificate from us (or via our authorised agent through which you booked) confirming your arrangements and your protection under our Air Travel Organiser’s Licence number 9749. In the unlikely event of our insolvency, the Civil Aviation Authority (CAA) will ensure you are not stranded abroad and will arrange to refund any money you have paid to us for an advance booking. For further information visit the ATOL website at www.atol.org. The price of your holiday includes the amount of £2.50 per person as part of the ATOL Protection Contribution (APC) we pay to the CAA. This charge is included in our advertised prices but will be shown separately on your confirmation invoice. If you book arrangements other than a package holiday from us, the financial protection detailed above does not apply.